Videoswitcher and Converter There are 5 products. Perfekt to play your retro games on modern TVs. Connect up to 16 different SCART-Devices to one TV. Fully RGB-Compatible. Extends your Hydra 1/2 or W-Hydra 1/2 by 8 inputs. 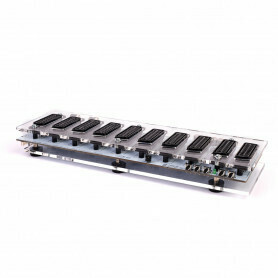 Connect up to 8 different SCART-Devices to one TV. Fully RGB-Compatible.